Home From My Kitchen What I bought for $60 at the grocery store this week! 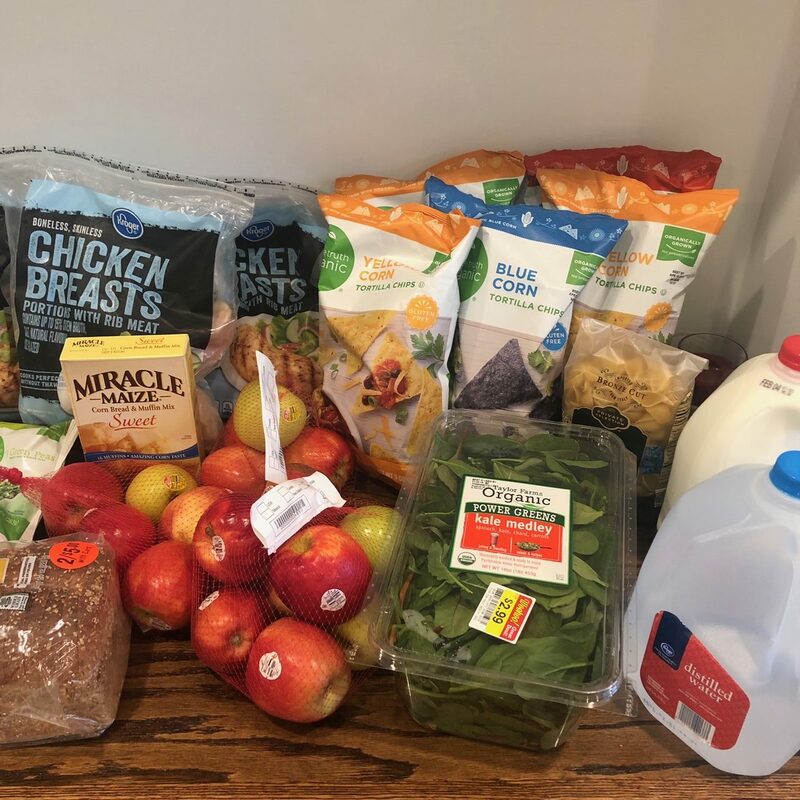 What I bought for $60 at the grocery store this week! I got some GREAT deals at Kroger this week. Unlike most weeks, where I run into Kroger a few different times as I’m driving by. 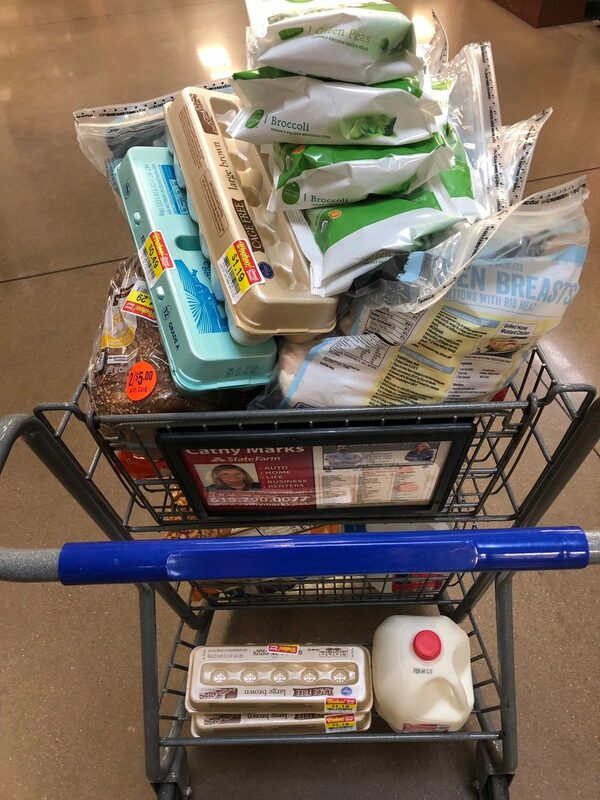 This week, I only went to Kroger once… and I got quite a haul of groceries! 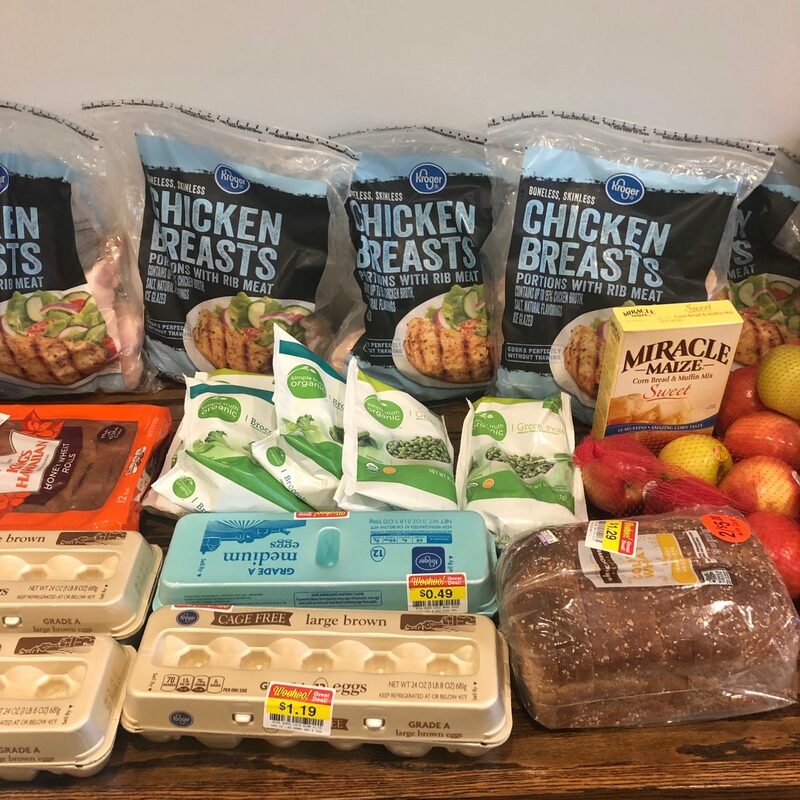 I was really excited about the Kroger chicken deal we posted that was available on Friday and Saturday only. 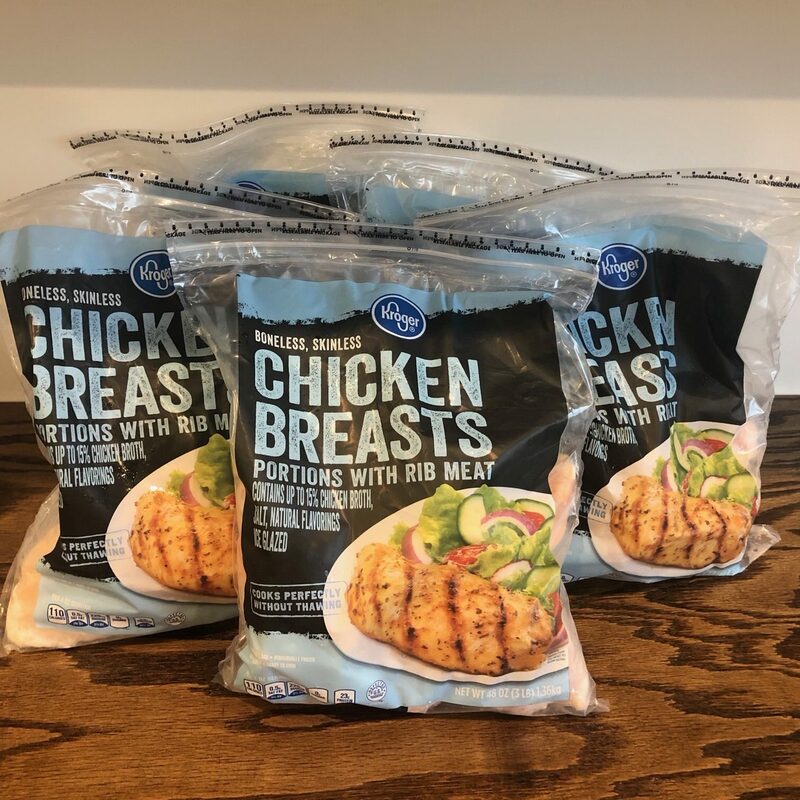 I got 5 bags and stuck them in the freezer and we should have enough chicken to last us for the next few weeks. 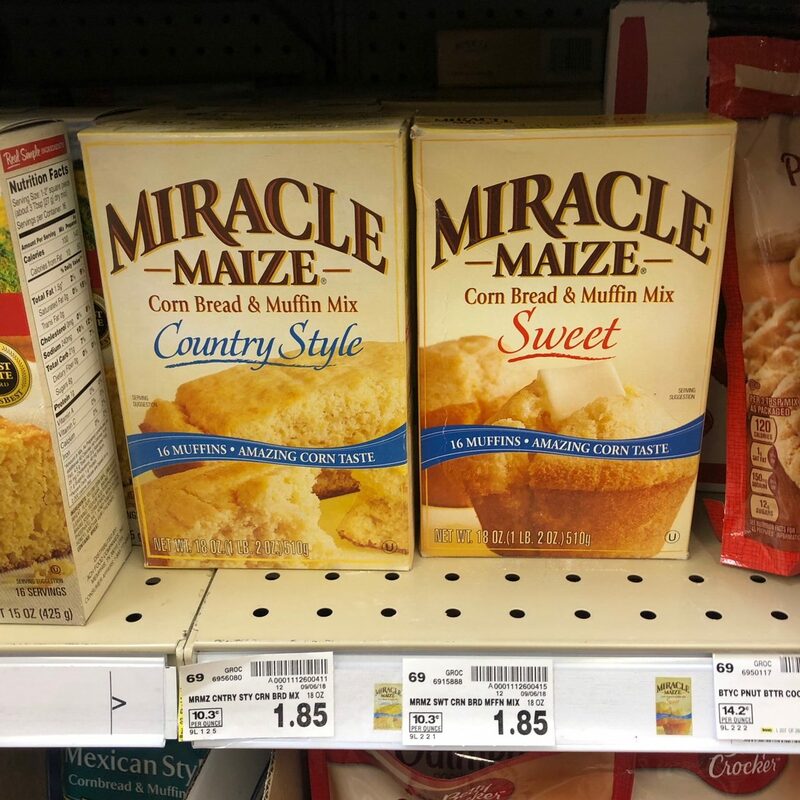 I saw this hot deal on Miracle Maize Corn Bread & Muffin Mix over on Kroger Krazy. 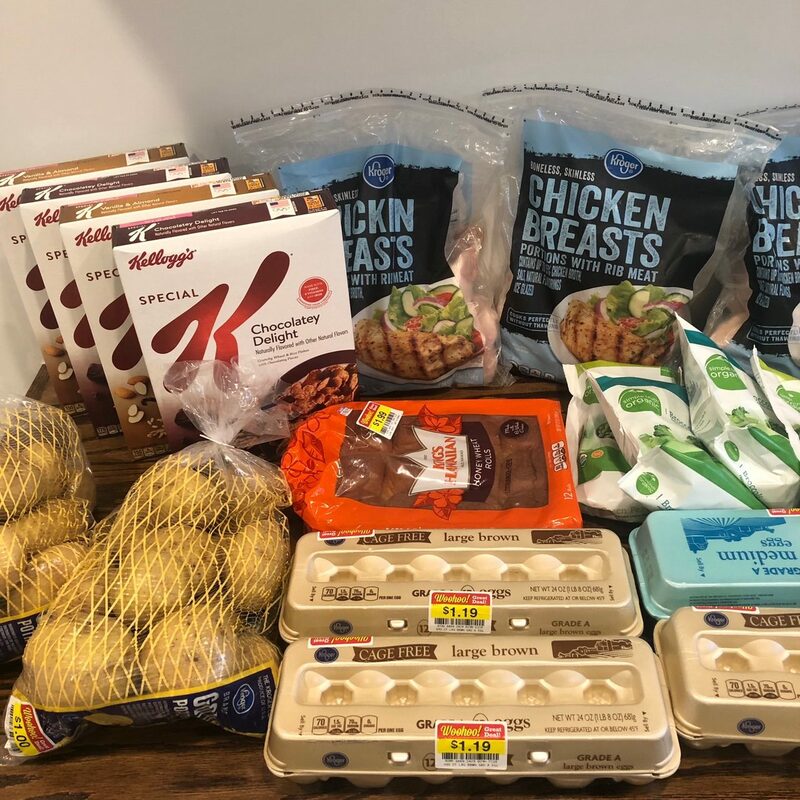 Download the $1.50/1 Kroger Digital Coupon and then you can get a box for as low $0.25! Did you see this great deal on Simple Truth veggies? 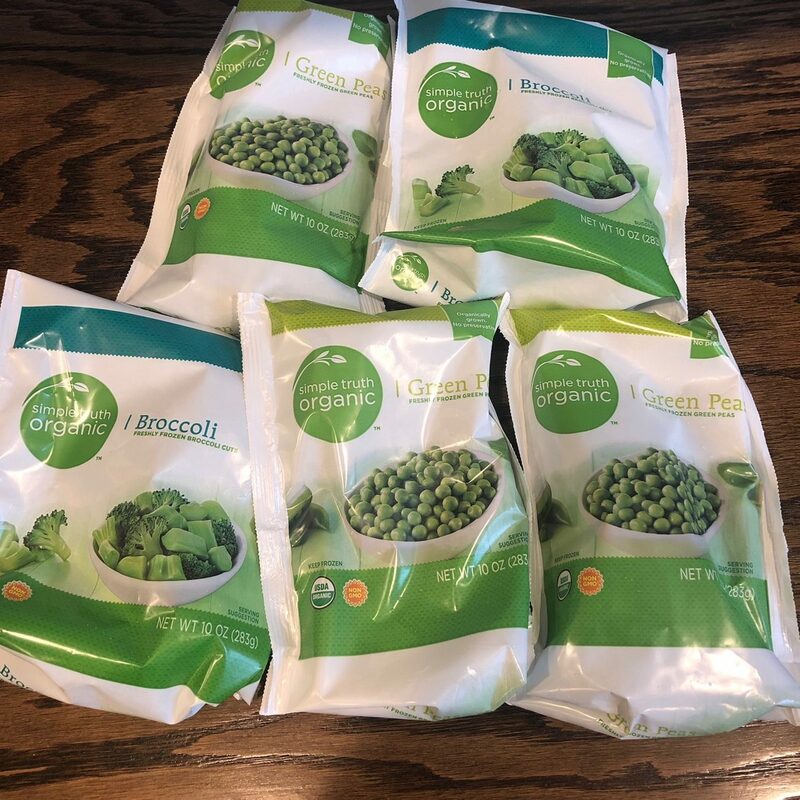 They are priced at $1.29 each and there is a $0.50/1 Kroger Digital Coupon that you can use up to five times per transaction. That makes these just $0.79 each for organic veggies! 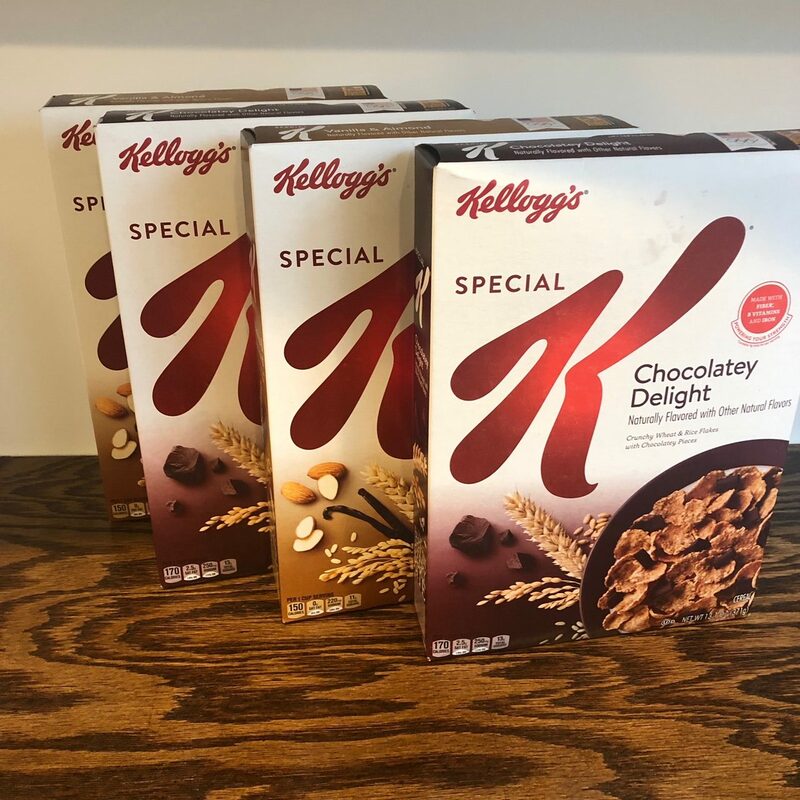 And there is currently the best deal on cereal I’ve seen in a long time! We posted all the details here. And there’s also a great deal on Simple Truth veggies? 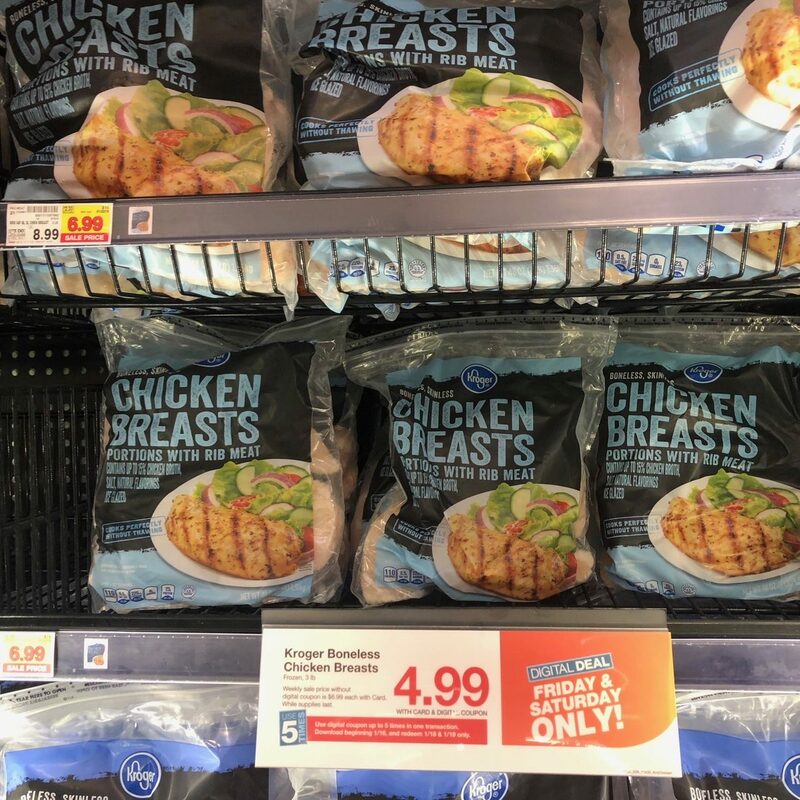 They are priced at $1.49 each and there is a $0.50/1 Kroger Digital Coupon that you can use up to five times per transaction. 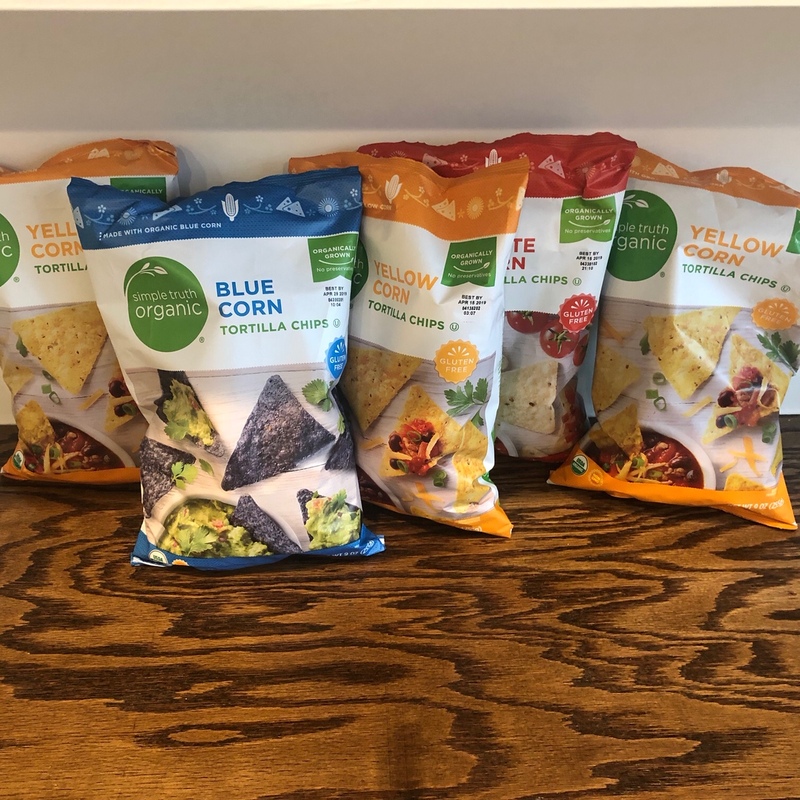 That makes these just $0.99 each for organic tortilla chips! Previous articleFREE jewelry rental box from Rocksbox! Next articleLearn how to downsize your home, stress free! Ceramic Flat Iron Hair Straightener for just $17.99! Is the Chase Sapphire Reserve Right for Me? 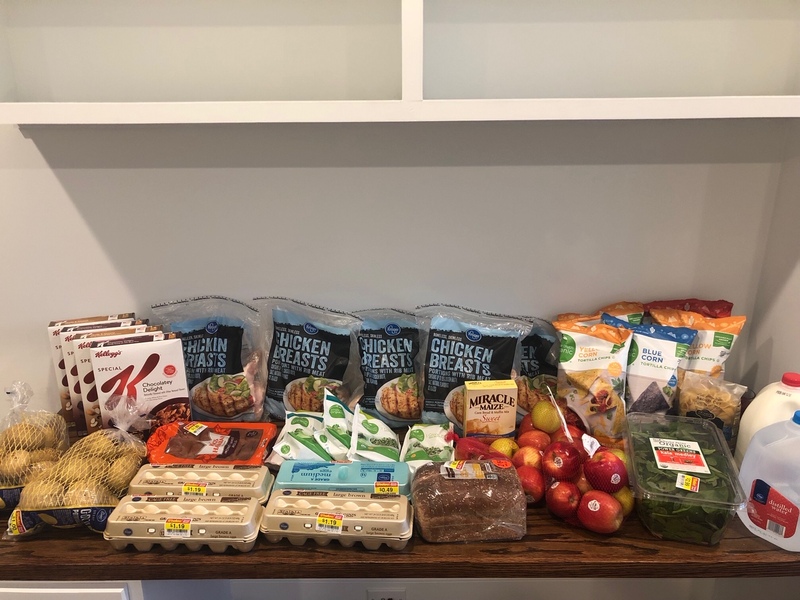 We spent $68 on groceries this week!